VINTAGE pop songs: Aileen Stanley, born Maude Elsie Aileen Muggeridge (1897 - 1982), was a popular American singer. 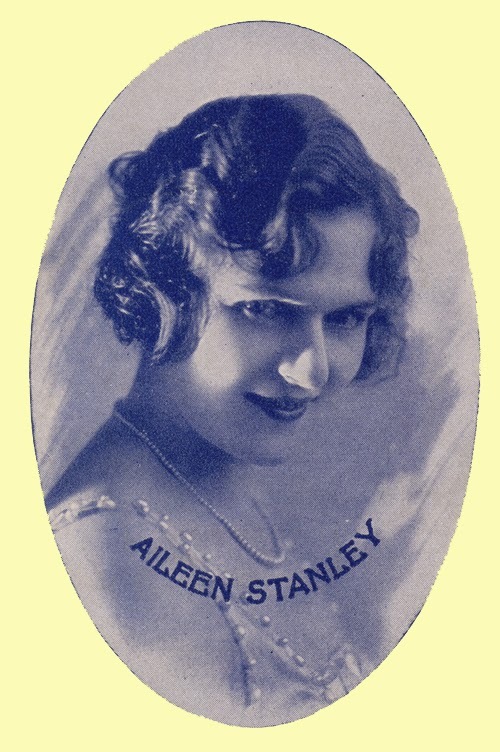 Aileen Stanley, born Maude Elsie Aileen Muggeridge (1897 - 1982), was a popular American singer. Stanley performed in vaudeville and cabarets. In 1920 she was a hit in New York City in the review show Silks And Satins and made the first of her numerous recordings the same year. The majority of her records in the '20s were for the Victor Talking Machine Company, but she also recorded with other labels with recording studios in the New York City area, including Edison, Pathe, Okeh, Brunswick, Vocalion, Gennett and others. Many of her records sold well at the time.